This story was entertaining, although it dragged on slowly at some points. The excellent narrating made up for it, though! What made the experience of listening to Keeper's Quest the most enjoyable? I really enjoyed the Keeper's Saga series but the audiobook adds a whole new level of excitement to the story. Chase Harper's adventures become even more thrilling, compelling and there is even more love and strength with the verbal telling of the story. 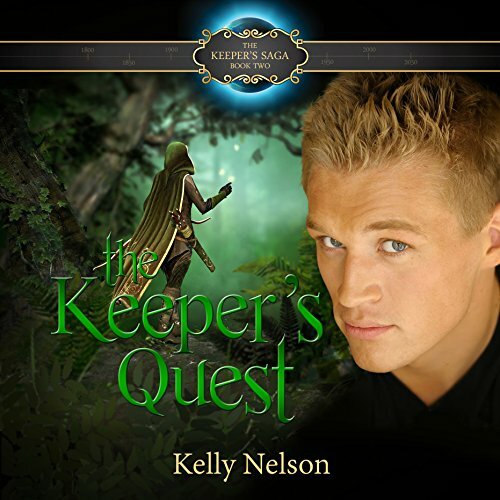 I started this series because it was one my daughter and I could read together but Kelly Nelson kept me hooked with her unique story line, plenty of twists and turns and a sweet, deep love story that is the center of the Keeper's Quest. If you enjoy the excitement of youth and young adventure then I highly recommend this series and the audiobooks.